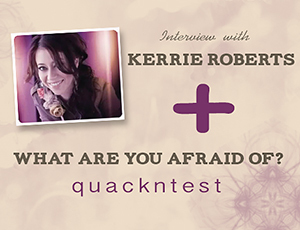 In honour of our interview with Kerrie Roberts, we wanted to post a question to you all, dear ugly ducklings. What are YOU afraid of? And better yet… what are you doing to overcome that fear? Write us to let us… be creative! We want to know what you do to overcome fear – who inspires it? What steps do you take? Send us your entries by May 4th! And here’s the best part… Kerrie is going to pick the winner! Please limit your entries to 500 words (+ any visual aids you’d like to use!). 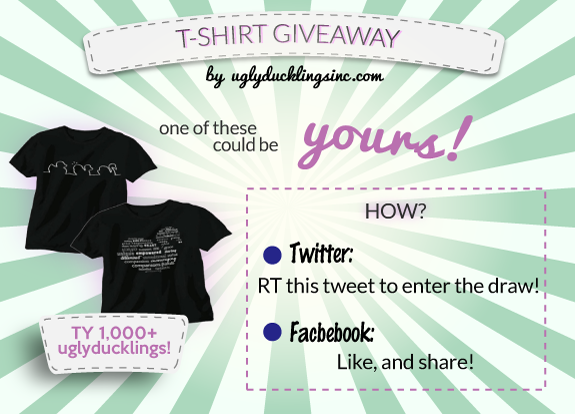 Send it to uglyducklingsinc@gmail.com, and let us know if we can blog them! Ugly Ducklings, Thank you so much to every single one of you. We’ve reached 1,000 followers on twitter this week and, as promised, we had a rockin’ giveaway to honour all you! The winner of this giveaway was Luciane, from Brazil! But we want to thank the 100+ retweets and reposts on Facebook. Note: This contest ended on October 1st. And once again, we want to thank all the amazing Charmers and Ducklings who helped us make this a reality. If you want to find out who won, go here! GOODY DRAW: Mental Fitness Inc. (formerly NORMAL) is committed to helping all the Ugly Ducklings out there become Swans, and are currently focused on developing the first ever Mental Fitness Institute in the US. For more information about this organization, check out our interview with CEO and Founder Robyn Hussa here. Swan Lesson captions Hey Ugly Ducklings, Well, our first contest is finished! Thank you so much to all those who participated and HUGE congrats to our winners! We will be sending out prizes shortly. In case you missed them on twitter and facebook, below you will find the captions that won the last four days of the Swan Lessons Caption Quackntest! Check back soon We will be having more Quackntests… and be sure to follow us on Twitter @uDucklingsInc.